﻿ Valentine’s Day Romantic Surprises on Snow! HOME > NEWS & EVENTS > Latest News >Valentine’s Day Romantic Surprises on Snow! Valentine’s Day Romantic Surprises on Snow! Most girls love a heart-shaped box of chocolates or a teddy holding an ‘I love you’ cushion, but ladies that ski or snowboard, need that little extra effort on Valentine’s Day to really blow them away. Here’s SnowSure’s top romantic moments on snow at The Snow Centre, pick up some ideas for your Valentine’s Day surprise here! If you’re a keen skier, what better place to say ‘yes’ than on the slopes! In 2014, a couple of snow loving love birds got engaged when the soon to be groom, popped the question after asking The Snow Centre Team to write the words ‘Will you marry me’ in the snow. Using ski poles and red spray paint to spell out the words, the team prepared for the couples arrival to the slopes. We’re pleased to confirm she said yes! 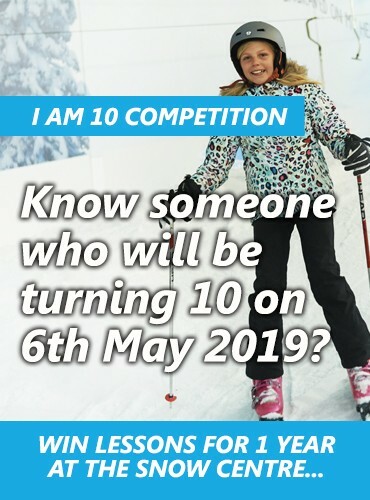 That's right, in a previous series of the Channel 4 show, The Undateables, The Snow Centre hosted a first date for one couple! Steve Cross who ran the couples sledging session said; “I met the couple in The Snow Centre’s equipment rental area, they were excited and a little nervous. A couple of seasons ago, the famous T.V show, ‘Don’t Tell The Bride’ debuted a Frozen Wedding on the snow at The Snow Centre. Complete with Ice sculptures, reindeer, an ‘Elsa’ style wedding dress and ‘Olav’ as the groom, the couple got hitched that day. Rebecca Hicks who organised the coldest wedding ceremony of Hemel Hempstead said; “After hours of preparation the Frozen themed wedding was all set, with a beautiful ice sculpture as the centre piece, blue rose petals down the aisle and lots of guests; all the groom had to do was wait for his bride. If you have your own romantic ideas for an on snow session, why not visit The Snow Centre this Valentine’s Day!